Photo stop at the Imperial Palace. Visit Tokyo Tower (First Observatory). Hakone Enjoy a cruise on Lake Ashi. Kurashiki Photo Stop at Kurashiki Canal. 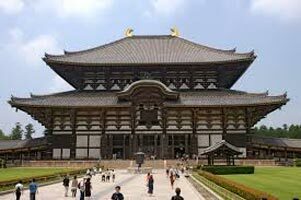 Nara Visit Todaiji temple and Deer Park. Arashiyama Torokko train to Arashiyama in Arashiyama.Any increase in the air fare charged by the airlines on your air ticket (calculated at 1st July 2016 rates). Mandatory tipping & Porterage: An amount of USD 5 per person per day towards tips & USD 1 per piece of luggage per hotel to be paid to guide / What your Tour Price does not include driver / hotel porter. Laundry, wines, mineral water, telephone charges, optional tours and also food and drinks not forming part of the group menus. On arrival at the Narita/Haneda Airport, our local representative will meet you outside the customs area and transfer you to your hotel (Check-in time is 3.00 pm). The rest of the day is free to enjoy the mega metropolis of Tokyo on your own. Overnight at the hotel in Narita. Visit to Sumidgawa Cruise Today, we proceed on a guided city tour of Tokyo. We visit the most popular Asakusa Kannon Temple. The heart of the Asakusa Temple complex is the Kannondo Temple with a history of more than 1300 years. We stop at Nakamise Street where you can shop for souvenirs. We later proceed for a Photo stop of the Imperial Palace and Sky Tree We drive by Ginza, Tokyo’s most famous up-market shopping, dining and entertainment district, with numerous department stores and boutiques, featuring virtually every leading brand name in fashion and cosmetics, art galleries, restaurants, night clubs and cafes. We continue our tour and visit the Tokyo Tower (First Observatory). With 333 meters, Tokyo Tower is the world’s tallest self-supporting steel tower. It was completed in the year 1958 as a symbol for Japan’s rebirth as a major economic power. The best way to enjoy the sakura cherry blossom season is on a river boat! In this tour you will ride a cruise boat along one of Tokyo’s rivers and will see the beauty of the blossoming cherry trees!. Overnight at the hotel in Tokyo. Today, we check out of the hotel and visit the Peace Park in Gotemba which commands a beautiful view of Mt. Fuji and houses the chalky stupa. Stupa in chalk, the stupa was sent from the late first Prime Minister Nehru of India (the remains of the Buddha). Later drive to the beautiful Fuji Hakone National Park, See Mt. Fuji towering to a height of 3,776 metres. It is the tallest mountain of Japan and its most distinguishing physical landmark. We take you on an exciting excursion to the 5th station of Mt. Fuji (subject to weather conditions). Where we take you for an exquisite cruise on Lake Ashi. Enjoy the enchanting cruise as well as the picturesque and unforgettable surroundings of Lake Ashi. Overnight at the hotel in Shizuoka. Today, we check out of the hotel and take you to Mishima Station to board Shinkansen - The Bullet train to Hiroshima. Experience a thrilling ride on the Bullet Train, the fastest train in the world. On arrival, we visit the Hiroshima Peace Memorial (Genbaku Dome) which is a part of the Hiroshima Peace Memorial Park and was designated a UNESCO World Heritage Site in 1996. The ruin serves as a memorial to the people who were killed in the atomic bombing of Hiroshima on August 6, 1945 was the only structure left standing in the area where the first atomic bomb exploded. Overnight at the hotel in Hiroshima. Today, we check out of the hotel and drive to Osaka. Enroute we take a photo stop at the Kurashiki Canal.Kurashiki is one of Japan’s great old merchant towns. Situated along a scenic canal at the foot of Mt. Tsurugata, Kurashiki’s whitewalled storehouses are beautifully preserved and open for exploration. A central section of the city’s former canal system has been preserved in the Bikan Historical Quarter. Later, transfer to Osaka to visit the famous Osaka Castle. Osaka Castle was rebuilt by Tokugawa Hidetada in the 1620s, but its main castle tower was struck by lightening in 1665 and burnt down. It was not until 1931 that the present ferroconcrete reconstruction of the castle was built. Major repair works gave the castle new glamour in 1997. Inside the castle is a museum that documents Toyotomi Hideyoshi’s life and the history of the castle Overnight at the hotel in Osaka. Today, we check out and drive to the airport for your flight back home. It’s time to say goodbye to all the new friends you have made. We hope you take back many happy memories of your tour. We would like you to spare a few minutes of your time to write and tell us how you enjoyed your holiday and any suggestions you may have for the future. Any increase in the air fare charged by the airlines on your air ticket (calculated at 1st July 2016 rates).